I can see the future, because I live in it today. As LinkedIn Passes 1 Billion Profile Endorsements, Has Klout Stagnated? I logged into Klout for the first time in months today, and it felt like a veritable ghost town. Not only have my friends stopped talking about it or sharing their scores in the past few months, but according to Alexa the website is showing slowly declining traffic at a stage when it should be growing — losing most of the ground it appears to have gained since early 2011. On the other hand, their Facebook app monthly and daily active user data suggests they’ve recently had some growth following a long plateau period – so maybe people are just more active with Klout on mobile? Klout offers users perks, which are special offers and coupons brands want to give to people with certain behaviors or demographic information. The idea is that I will test out these products and then talk to my friends about them. In the past I’ve been offered awesome perks like a free Nike Fuel Band or free 3-day test drive of the Acura ILX, but logging into is a lot less exciting. My perks include a $5 McDonalds card, $15 off Chilis, and a free Norton Mobile Security pack ($30 value) among others. Back in the early days when that was a thing I connected my Facebook and Twitter accounts to Klout because I was curious about my “score” (a number 1 to 100 which tells you how influential you are relative to others), and when they launched their iPhone app I installed it. Now I get mobile push notifications when my score goes up and down and often tap the alert to check it out – which I guess makes me an “active” for that day or month. I’m pretty sure Klout’s sales team goes to big brands and sells them on accessing these active users with their offers… but is it really working? According this January 2012 funding announcement the company was pre-revenue at that time. Sources confirm that the company is now doing paid deals and brought on a COO over the summer of 2012 to focus on ramping revenue and improving operational efficiency. Brand partnerships with McDonald’s and others probably pay healthy sums (I’m thinking $50-100k month per month or engagement), but if my perks are any indication the offerings to consumers aren’t particularly compelling. Klout has raised $40M raised to date, including a strategic investment from Microsoft about 6 months ago. The company is 5 years old with around 80 full time employees. With a big beautiful office, daily catered meals and a substantial sales and biz dev team I could easily see them burning $1M+ a month ($10k per employee fully loaded + $200k G&A), which means they could be nearing halfway through the $30M raised in early 2012. 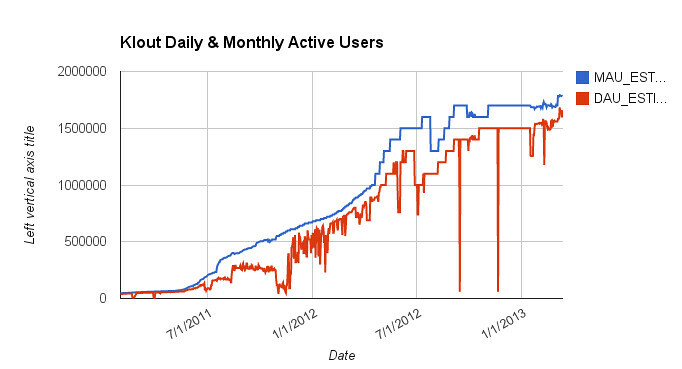 Do you regularly use Klout to track your personal influence (daily, weekly, monthly)? Have you worked with them to do a brand placement reaching influencers and seen meaningful ROI? Is the future bright for paid promotions to social media influencers? Let me know why or why not in the comments. Danielle is an early Klout adopter, her score is 69. Hello there! You've found my personal blog, where I ramble about all sorts of things, share music I love, test out business ideas, and explore a wide range of intellectual threads of interest.